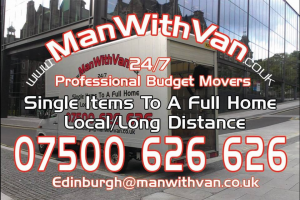 Man with a Van removals company based in Edinburgh offers a cheap but professional removal service. We are a courteous small local moving company. We provide cost effective professional small domestic and office removals in Edinburgh and surrounding areas at prices that won't burst your budget!. 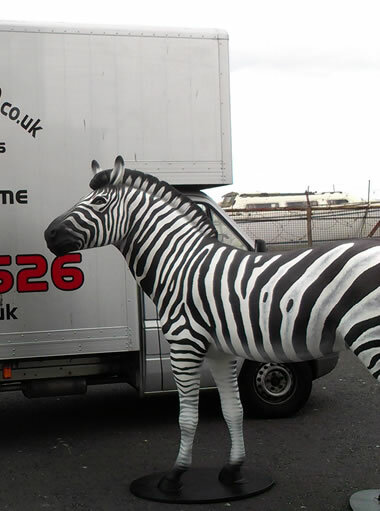 Our removals company in Edinburgh provides an all round better moving experience than most of the other removal companies in Edinburgh. 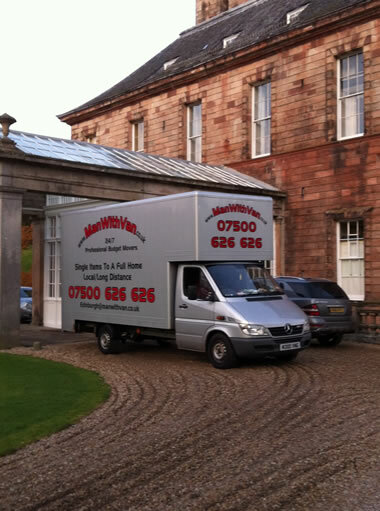 Don't let our name fool you, we are as good, if not better, than a lot of the larger Edinburgh removal companies. Moving home can be one of the most stressful experiences. 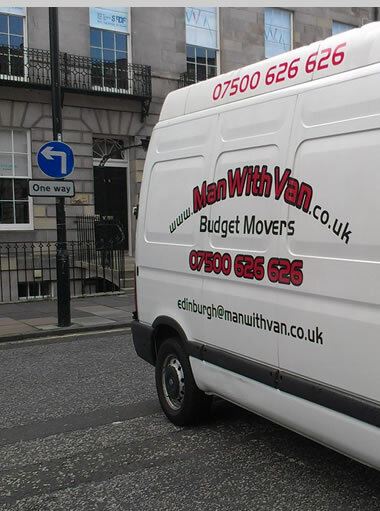 Let our Man with a Van Edinburgh services take all the hassle out of your move. We guarantee our man with van removal service will make your move hassle free from the initial contact to the completion of your move. Man with a Van are a very experienced removals company. 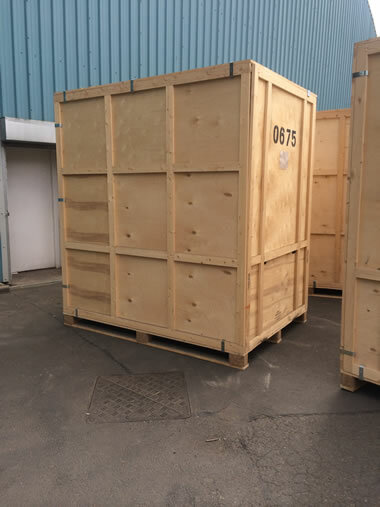 We have all the suitable equipment and packing boxes if needed for your move whether it to be to your new home or to storage units. 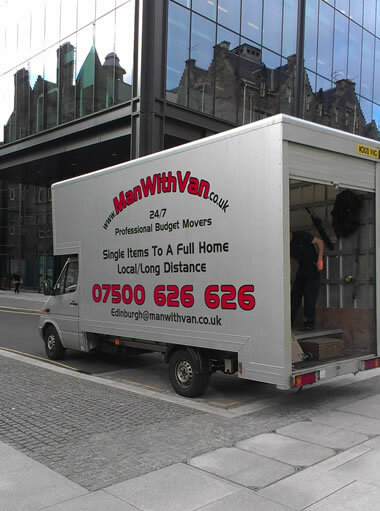 Man with a Van removals operate locally in Edinburgh, the Lothians, Fife and nationally throughout the UK. We understand that students can struggle with finances and that's why so many students use our services. 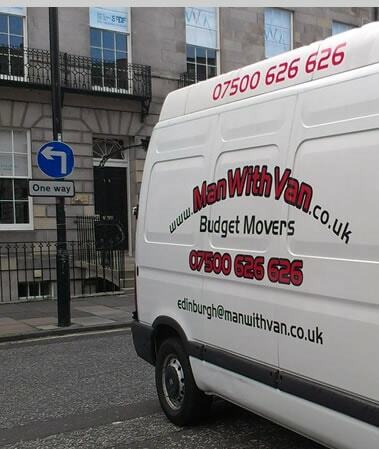 Man with a Van have been moving students around Edinburgh for over 6 years. Large or small, local or long distance removals, they are all carried out with the same level of professionalism, expertise and cost-effectiveness. We guarantee you satisfaction with our removal service and especially our pricing. Local Pick Up and Delivery of your items quickly for minimum price. Goods are always secured. 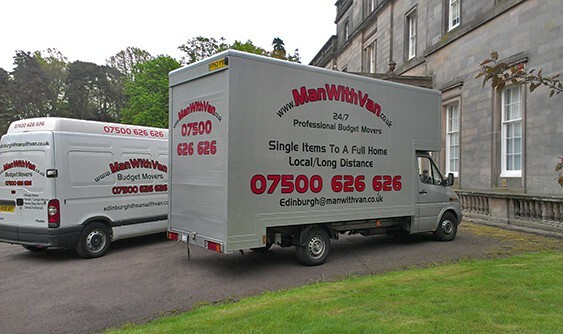 People usually call the larger removal companies when it's time to move home or office.When you compare our man with a van prices and our service for more or less the same service as the larger companies in Edinburgh you will notice quite a bit of a difference in prices, saving yourself hundreds of pounds in the process. We know that would be better off in your pocket! Yes, some people, like to think a branded name or a national company is a guaranteed quality of service, which isn't always the case. These removal companies usually come at a higher price and for more or less the same service that our man with a van can provide. Moving home or relocating your office? Are you planning on moving a single item/small load, bags or boxes? Is it worth the time consuming hassle of hiring a van to do this and getting friends or colleagues along to help, that`s if they are willing to help! Hire us instead, when its time for you to move your home or office. We cater for all types of moves, so don`t think we just offer small house/flat removals in Edinburgh, we can do anything up to a three bed-roomed property for very likely far less cost than some of the larger removal companies who can cost you a lot more!. Available 7 Days a Week 24 hours a day! Need a Reliable moving company.? Give us a call on 07500 626 626 or email us using the contact form on the website. Get in touch via phone or email using our Contact forms. Arrange a Home or Office visit for an accurate quote. Office or Home removal undertaken as per agreed instructions. Watch our team in action. Moving at a price you just can't beat! If you don't tell us what's being moved we can't price the job correctly. Be as accurate as you can (Item count is best) don't generalise. All quotes are given on information you have provided, not assumptions. Extra Items / Any Requests not included will be liable for extra charges. We don't take doors off if we do we are not responsible for reinstatement. Bookings are confirmed by email with date & estimated arrival time. Prices do not include dismantling/assembling/disconnecting anything unless made clear. Key waiting jobs are priced per hour, per man. We want to help you move and do our best to make it happen, so help us in making it happen right! Let our friendly team take the strain off your next move. Hassle free moving at low cost prices.